A little history and background - Valentines Day is also called Feast of Saint Valentine or Saint Valentine's Day and is celebrated on 14th February every year It came from an early Christian Saint called Valentinus and is celebrated in many countries in the world. One of the legends is that he healed his jailers daughter and signed a letter to her "your Valentine". His day became associated with love in the 14th Century and by the 18th Century in England flowers (now often silk flowers) chocolates and cards are given. Handwritten cards gave way to mass produced one in the 19th Century. When postage go cheap in England the sending of cards started in very large numbers - in 1840 400,000 were sent! It is at about this time when cards started to be sent anonymously - previously the cards were handed personally. In the USA mas production started very soon after in 1847 by Esther Howard and were made from embossed paper lace. Now something like 190 million cards are sent every year in the USA (although that does not include the millions that school children exchange). Naturally with the advent of the internet many create the cards on the net and send them via the internet. Valentines Day Silk Flowers. 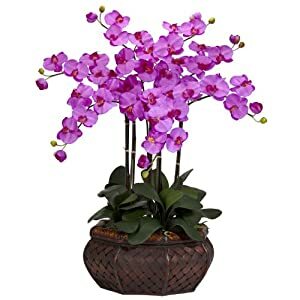 Yes that time of the year has finally come to get rid of the junk dust and grime that tends to build up over winter (think about a silk orchids arrangement and look out your spring floral arrangement. It does not have to be a scary job and here are some tips. Have ceiling fans in the bedrooms? Then dust that before you change the bed and start dusting elsewhere - The hint is start high, work your way down. Have a dirty microwave? Think of those spills from winter soups and such that are often baked on - well get a bowl, add water and lemon juice - put in the microwave on high for a few minutes. You will then be able to just wipe the microwave as everything will be loosened. Now it is time for the fridge - first step is to simply take everything out. Through out anything time expired, and wipe down and spills. Then buy a box of baking soda, open and leave in the fridge - it will get rid of any smells. On to the bathroom - through out and toiletries that are no longer used or expired medicines, also replace the cleaning brushes clothes (aim for every three months to do that). Check your tables and other surfaces for clutter - it is amazing how it builds up. Then (sorry I have to suggest it), add a pretty Silk Floral Arrangements - any other suggestions? Artificial flower arrangements orchids - are they really worth the money? It's a fair question, but the answer is significantly different than ten years ago with the vast improvements in technology, craftsmanship and materials. Value depends largely on the sources you choose. 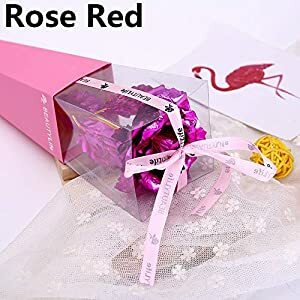 Generally you will find a much higher quality in stores that specialize in silk arrangements versus a local big box department store. 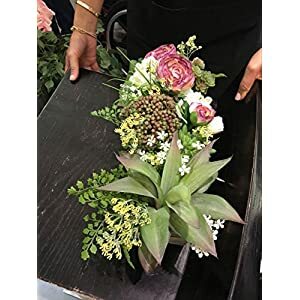 What you need it for determines the quality to choose and if you're looking for a few stems for the cemetery (check their policy first) you can do fine at your local discount craft store. However, if it's professionally designed artificial arrangements or bouquets for a wedding, it's going to require a different search. It all begins by looking in the right places, and weighing your budget, but other considerations begin with the environment where your flowers or plants will be placed. If you're planning an outdoor wedding, nothing is more versatile nor more beautiful than a correctly planned selection of silk botanical sprays, and artificial floral decor. Don't worry about fragility, as the silk style will handle most any weather silk orchids arrangements environment and look fabulous doing it. If you're crafty, or trust a close friend who is, you may be able to fashion your own arrangements providing you're prepared for the outcome and amount of work involved. Some have a real touch for designing and some don't, but don't add to your stress about when and if the final product is going to meet your satisfaction. 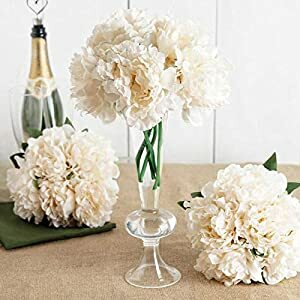 If you can afford professionally customized artificial florals I wholeheartedly recommend them and there are likely pre-designed models that will work beautifully. They can be ordered and received well ahead of time. If you're familiar with some of the top brand names it would be helpful to know what the retailer uses. Some of the ones we recommend are Larksilk, Flowers Royale, Aldik, Botanical Silk, or Silk Visions which are all higher end designs. 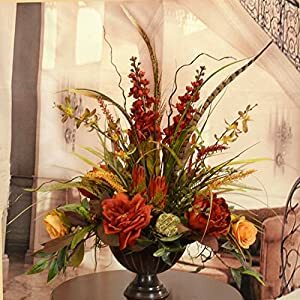 Special occasions like Mother's Day, Valentines Day, Thanksgiving, or Christmas may require the need to find a unique, everlasting gift and there are some gorgeous silk arrangements available. 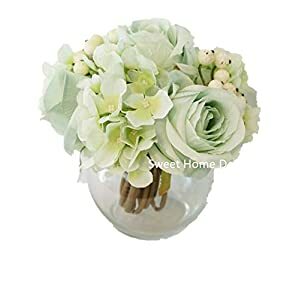 Mom will never forget and will always treasure a beautiful arrangement, providing you consider her present decor and choose carefully. You don't have to break the bank to get a nice arrangement. Just get the best for your money. If you're looking for simple or elaborate arrangements you will be surprised with the value and beauty that's available. Plan ahead, shop carefully and your efforts will pay off beautifully. Silk floral arrangement are the flowers that look like regular flowers but without the hassle and care needed for traditional flowers. You can use these silk plants, silk trees and silk flowers for either residential decoration as well as commercial decoration. There are instances that these plants are used for scientific reasons as well. The materials used in silk flowers include materials such as rice-paper, silkworm cocoons in some countries. 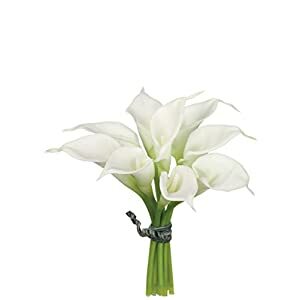 Most of your silk flowers however are not actually created from silk however but instead from polyester fabric. The polyester has been used as the primary source of silk flowers and plants since the 1970’s. The silk flowers are made from the protein fiber that is spun from the silk worm that creates a real lifelike resemblance of the actual flowers. The flowers used for purposes of bouquets and ceremonies will allow the flowers to be prepared well in advance and to hold shape for weeks in advance. The purpose is to also make it so that you are able to have flowers without the need of water or food since most individuals like the presence of the flowers but not have the patience for the care of the flowers. The use of silk flowers can be used for things such like creating floral wreaths and for items used in special events. Many of the silk flowers that are available on the market today can be confused for actual flowers. 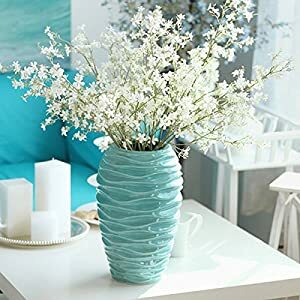 They are making the flowers to look so much like the real thing that at times you may not even know the difference unless you look specifically for the markers of artificial flowers. 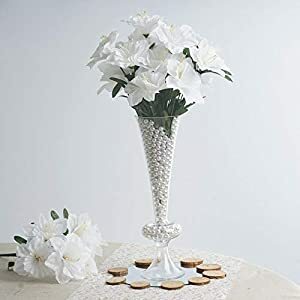 If you are searching for a specific type of silk flower or best artificial flower arrangements, many of your retailers will even create a floral arrangement that resembles what the actual flower arrangement would look like had it been created with real flowers. 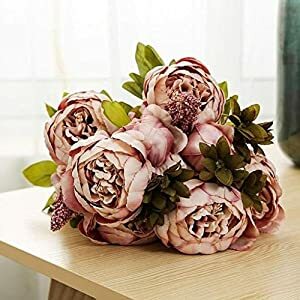 To make the centerpieces that much more real and to make them go the extra mile, you can take items that could be used for real flowers and create a masterpiece out of the silk flowers . The rose bush silk flower arrangement is one that can be used in place of real flowers. 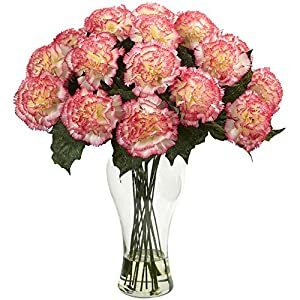 You can set the artificial rose bush on the table of your living room and as long as you clean it periodically, no one will even know that it is a fake plant. These are just some examples of artificial flowers.